Flume in Montreal or Quebec City? Inform me about the next events for Flume. Enroll yourself to our priority waiting list for Flume to be alerted when new tickets are available. Filling this form doesn't engage you to any purchase. Flume will be performing at the Festival d'été de Québec in July 2017, as well as the Ottawa Bluesfest the same month. The Australian electronic music DJ has been gaining major attention since the release of his first album in 2012. Recently, Flume made the news with an impressive remix of one of Sam Smith's hit. The last time Flume visited Montreal was in June of 2015, when he performed at the Bell Centre. 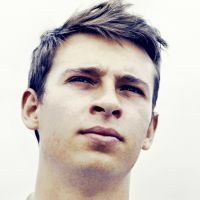 Don't miss Flume's concert in Quebec City !